After many years I went to crackers market on this Diwali. Some friends hadn't bought the crackers till the eve of festival and we went to a market of whole-sale traders, on the outskirts of the City. The visit also reminded me of my childhood and the memories of Di wali. In those days the children would buy 'kid pistols' much ahead of the festival. There was a strip of 'tiklis' that was placed like magazine inside the gun. But they aren't in vogue now. The 'snake tablet' was my favourite. The moment you burn the black little tablet it starts growing in the shape of a long snake. Apart from the quintessential anaars, phuljharis and the sutli (rassi) 'bombs', there used to be small crackers of garlic shape wrapped in colourful paper that were quite popular. Kids would keep them in their pockets and throw them on road. Once they struck a hard surface, they exploded. There were accidents also and ultimately there were banned. Now coming to today's experience. As usual, there was a wide range of aatishbazi including the sparklers, fire pencils, traditional phuljhadi, anaar (flower pot), rocket, chakris and 'bombs' of all sizes apart from the Chinese crackers. The inflation effect was visible. The crackers were too costly. Small packets costing anything from Rs 200 to Rs 400 (and even more). However one of my friends was simply picking up the packets without checking the price. I wondered what was in store until a salesman said that there was no need to bother about the prices written on the packs [retail] rather we would be charged the whole sale price. In the end, the crackers of Rs 2,200-odd cost him just Rs 650. Though he didn't bargain much. Those who had used connections and got ADMs or SDMs call the seller, got even higher discount. So it was worth coming this far. I really wonder how much a normal customer gets cheated, as the wholesaler was easily giving away products at much less than 1/3d of the printed MRP, which the normal shop owner would never do. Given the fact that the wholesaler must be making huge profit on the prices, one can imagine the profits involved in the s ale of crackers. The actual cost of manufacturing must be too less, else nobody can afford such discounts, that too on Diwali eve. This also gives an idea that while the manufacturers and suppliers make so much money, how little the workers may be getting. Poor families including women and kids are engaged in these units in Sivakasi and other parts of the country. Another interesting sight was that of an affluent couple who bought lots of crackers and then haggled. When the shop owner refused to give further discount, the lady declared 'We are Muslim, still buying crackers as our son wants them, please consider'. The shop owner did yield. That was a funny sight. In the past, the fireworks were commong among Muslimson Shab-e-Barat. 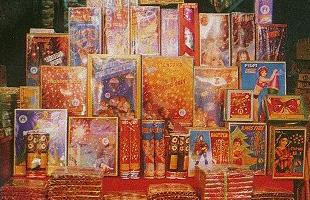 In fact, the crackers and aatishbazi on the festival exceeded Diwali. 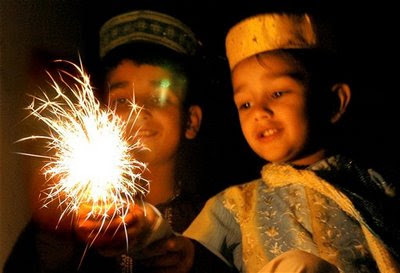 In Diwali, the emphasis was more or lighting up houses with patters of diyas and qandils. Now these dazzling fireworks have become a thing of past. Over the last 3-4 decades, the practice of aatishbazi on Shab-e-Barat declined steadily until it became extinct. Last I remember some fireworks on the day, it was 1982-83 in Lucknow. To an extent, the practice survives in Pakistan. A friend of mine celebrates Diwali at the Old Age home and at an orphanage. For many years, he has been following this routine. Taking sweets and first visiting the Old Age Home where elders shunned by their families, lead a lonely life. In the evening he goes to the orphanage where he bursts crackers with the children. And it's not just a once-a-year ritual, as he leaves his phone number so that in case of need the children can contact him. Meanwhile, another thought before winding it up. I too dislike too much noise and pollution. Yet I think that 'going green' and stopping pollution shouldn't be just at the expense of festival's uniqueness. There is growing awareness and steadily noise is getting reduced every year. However, this year, I hope the mosquito menace especially dengue that is spreading in vast parts of the country and is not getting controlled, may get curbed for a while due to the fireworks and smoke. 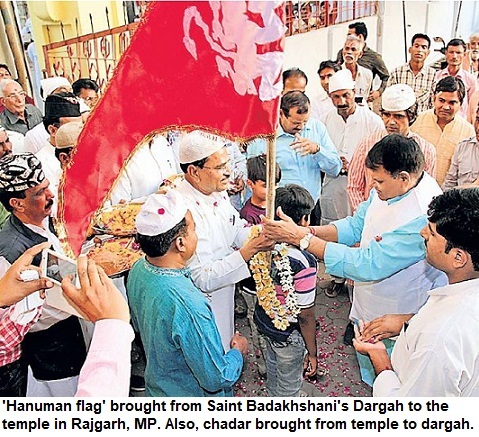 Jashn-e-Chiraagan Mubarak. My best wishes to all of you, on this Festival of Lights. Happy Diwali friends.